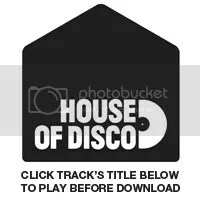 HOT DISCO EDIT: Jay Z – 99 Problems (Konstantin Sibold Remix) | House of Disco | SOUL OF SYDNEY FEEL-GOOD FUNK SOUL DISCO vibes & beyond. Ever since Konstantin Sibold popped onto our radar with ‘Lief’ we’ve been following his progress with a keen eye. His productions are classy in every way and for the first time he’s decided to give something away to say thanks to his fans. It’s an old but extremely popular edit of Jay Z. Now we’re not usually ones for posting a lot of Hip Hop but we’ll happily make an exception for something this good. I’ll let you make your own minds up.